For adults who are considering braces, orthodontic treatment often seems like a major hassle. But it shouldn’t have to be! Glaser Orthodontics believes that all patients should have a positive experience with orthodontics that goes smoothly and painlessly, and that they should never feel like orthodontic treatment is weighing them down. That is why we at Glaser Orthodontics have made a list of ways that you can maximize your treatment with braces for adults near Croton. Pick a treatment plan that works for your lifestyle = The first step in making sure that your orthodontic treatment goes well is selecting a treatment plan that fits seamlessly into your lifestyle. At Glaser Orthodontics, our adult patients have many treatment options, including traditional metal braces, clear braces, or Invisalign near Croton. Each of these has their own pros and cons, but the most important thing to think about when picking which system to use, is which one you will best be able to care for, clean, and monitor. For example, clear braces sometimes require more careful care, as they are easier to stain and break. So, if you are patient who does not have time to devote to this, it may be best to choose a more flexible option, such as Invisalign, which is removable and easy to clean. On the other hand, if you are extremely busy and tend to lose things or have a lot on your plate, Invisalign may not be the best option for you, as its removable nature makes it easy to misplace or forget. Dr. Glaser will meet with you and discuss each system to help you determine what is right for you. Make sure to keep your adjustment appointments = When undergoing orthodontic treatment near Croton, you will need to come by the Glaser Orthodontics office a few times for adjustment appointments. During these appointments, Dr. Glaser will check on your progress and make any adjustments to your appliance that are needed to keep your teeth moving correctly. It is crucial that you attend all of these appointments, and avoid postponing them if possible. This way, your treatment will always be running on time and will likely finish earlier. Any setback in treatment, even if it is small, may compromise the timing of your treatment. Use appliances as directed = Sometimes, with braces for adults near Croton, appliances need to be added to get the perfect desired result. These can include things like rubber bands or retainers. If you are trying to get the best possible result, always wear these appliances exactly as Dr. Glaser directs. To ensure that you don’t forget, make them part of your routine. Allot time daily (at the same time, perhaps after lunch or right when you wake up) to care for your braces and appliances properly so that eventually it feels second nature, not only guaranteeing that you are always following the proper care directions, but also eliminating the stress of finding time in the day to worry about orthodontics. 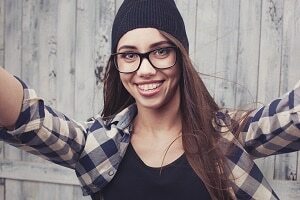 For patients with adult braces near Croton, there is often a concern that braces will not fit well into their busy schedules, and that orthodontic care will become a burden. By following these simple steps above, adults can ensure that they have an enjoyable orthodontic treatment that will result in a perfect and beautiful smile at the end! If you have any questions, Contact Dr. Glaser at 914-739-6400. The first thing we do every morning is brush them, and besides being essential for chewing, the teeth also play an important role in speech. Learn the different parts of the teeth and how they all come together to give you your unique smile with Dr. Glaser and the team at Glaser Orthodontics near Croton, NY. Often times these things don’t grow in exactly the way we’d like them to and that’s where Dr. Glaser step in. Contact our practice at 914-739-6400 near Croton to schedule your initial orthodontic consultation. If you are looking for excellent orthodontic treatment near Croton, Glaser Orthodontics is here to help. Dr. Glaser explains 5 tooth problems that he can fix with the proper orthodontic treatment plan. Openbites, underbites, overbites and deep overbites – Glaser Orthodontics near Croton specializes in the correction of all four bites. Dr. Glaser encourages that these problems are treated early on because they can be corrected without surgery a lot of times. The fix requires braces, special appliances and/or retainers. Too many teeth: hyperdontia – Having extra teeth is called hyperdontia. People who have hyperdontia usually also have another condition, such as a cleft palate or Gardner’s Syndrome (which forms tumors that aren’t cancer). Dr. Glaser treats hyperdontia by removing all the extra teeth and correcting the bite with braces. Crooked teeth – The fix will improve your overall dental health, relieving symptoms like jaw pain. Dr. Glaser uses braces (metal or trays), aligners, and retainers to straighten crooked teeth. Gaps – You may not consider a gap between the front teeth a problem at all, but if you want to correct it Dr. Glaser will use braces to move teeth closer together and a special glued-in retainer helps to keep the spaces closed. 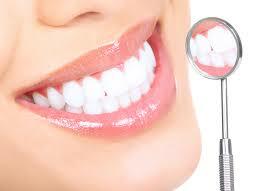 Clenching or grinding your teeth – Grinding your teeth is called bruxism. Stress is one of the causes. Misaligned teeth or sleep issues can also be culprits among adults (among kids, causes can include allergies). Bruxism can give you headaches, a sore jaw and cracked or loose teeth. If you grind your teeth at night, Dr. Glaser can fit you with a mouthguard. If it’s a daytime problem, meditation, exercise or other ways to curb stress helps. If you have any of the above tooth problems please contact our practice near Croton and schedule an appointment to discuss orthodontic treatment. Keep smiling!